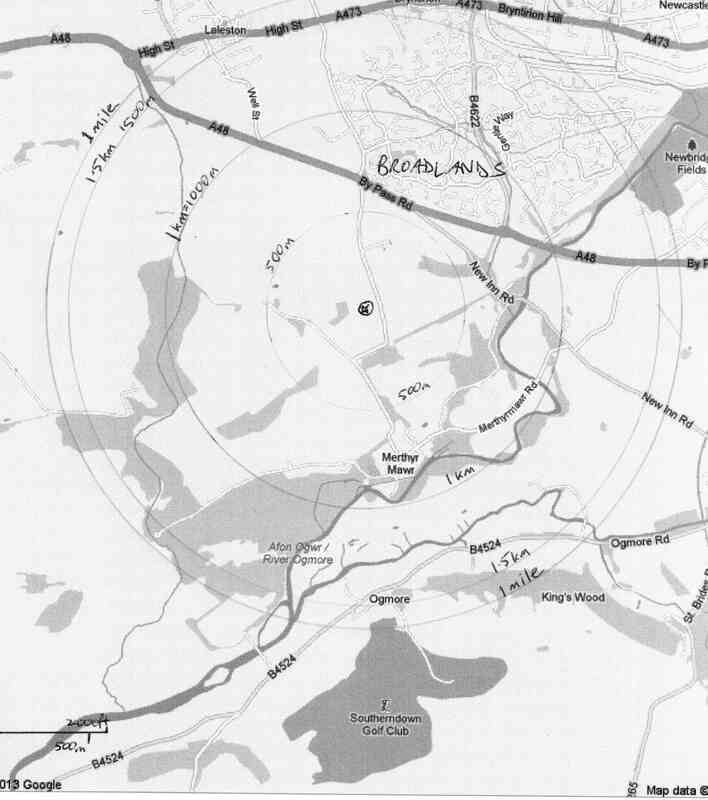 From the map – seen via the attachment at the bottom of the post – you will see that the whole of Merthyr Mawr village is less than 1km (0.6 miles) from the proposed drilling site, as is a big chunk of the Broadlands estate (the SW quarter). The rest of Brodalands, most of Laleston, Ogmore and numerous farms and isolated rural homes are all within a 1 mile radius. This is phase one of plans to industrialise the countryside, with full production requiring well pads at intervals of a just a couple of miles apart across the whole region, to produce a fossil fuel via FRACKING – an extreme, hazardous method, that we simply do not need to even touch. This part of the world is uniquely blessed with the abundant renewable energy options that offer sustainability and true energy security, without exacerbating the coming problems of accelerating climate change. The people of the Vale of Glamorgan have made it clear that they will not tolerate any aspect of this industry. Get your comments in to Planning Officer Tony Gore – preferably before the official deadline of 30th May – but do it any way. This may just be an exploratory drilling operation, but it is the thin end of a very sinister wedge!! This entry was posted in Uncategorized on May 22, 2013 by Bridgend's Green Leftie. Merthyr Mawr, Bridgend, ref. P/13/322/FUL. So much of the land round this area has already been taken over by necessary house building and was not originally designated as an industrial area. Although I realise that fossil fuels may be available in the area, surely there are alternative energy sources without the possible problems caused by Fracking.